Fire is probably one of the biggest threats to life that most people face as work. Over 60% of organisations fail to recover after a major fire incident. If you are an owner, landlord or occupier of business or other non-domestic premises, you are legally expected- and ‘responsible’- by the Fire Safety Regulations (The Regulatory Reform Order 2005) to ensure fire safety. Identify the possible causes of a fire. For example, sources of ignition- heat or sparks or any substance that burn. Many substances found in the workplace can cause fires or explosions. These range from the obvious, e.g. flammable chemicals, petrol, cellulose paint thinners and welding gases, to the less obvious – engine oil, grease, packaging materials, dusts from wood, flour and sugar. Take into account the needs of vulnerable people, such as the elderly, young children or those with disabilities. Once you have identified the risks that people in your building may face, you can take appropriate action to control them. Consider whether you can avoid them altogether or, if this is not possible, how you can reduce the risks and manage them. Ensure good housekeeping at all times and avoid accidental fires. Keep sources of ignition and flammable substances apart. Make sure heaters cannot be knocked over and avoid build-up of rubbish that could burn. Consider how to detect fires and how to warn people by installing fire detection and warning system, such as smoke alarms and fire alarms or bells. You may need different types of detectors, depending on the type of building and the work carried out in it. Ensure the correct fire-fighting equipment for putting a fire out quickly is available and is user-friendly in an emergency situation. You’ll need to have any equipment properly installed, tested and maintained and train your staff to use them if necessary. fire exit signs are in the right place; Fire Exit signs, fire alarms and firefighting equipment must be provided with pictograph signs as per Health and Safety (Safety Signs & Signals) Regulations 1996. Ensure that adequate and appropriate fire safety measures are in place to minimise the risk of injury or loss of life in the event of a fire. Consider how you will protect people if there is a fire. Provide information, instruction and training to employees about fire risks and precautions in the workplace. New staff must be trained when they start work and all employees should know about any new fire risks. As an employer, you must appoint an adequate number of competent persons to assist employees to comply with their obligations e.g. a competent assessor to conduct fire risk assessments or a competent instructor to provide fire safety training. At least one fire drill per year must be carried out and the results must be recorded. You must keep the results as part of your fire safety and evacuation plan. Most fires are preventable. Local fire and rescue authorities inspect premises and can issue fire safety notices telling you about changes you need to make. Note that you could be fined or go to prison if you do not follow fire safety regulations. Minor penalties can be up to £5,000 while major penalties can have unlimited fines and up to 2 years in prison. 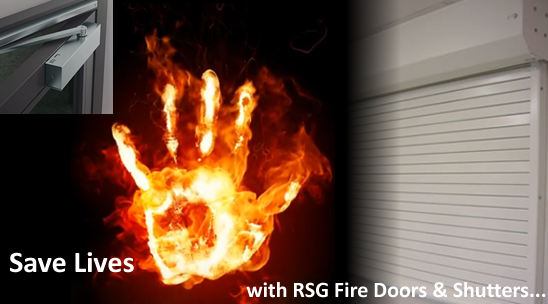 The ‘responsible person’ should take the responsibility by adopting the right behaviours and procedures for Fire Safety.